Senior alert applications and similar technologies are growing in usage among the aging population. Seniors 65 and over who are prone to slipping and falling accidents, wandering, and other such mishaps can benefit greatly from a senior tracking device that can be programmed to keep watch of their activities and whereabouts at all times. 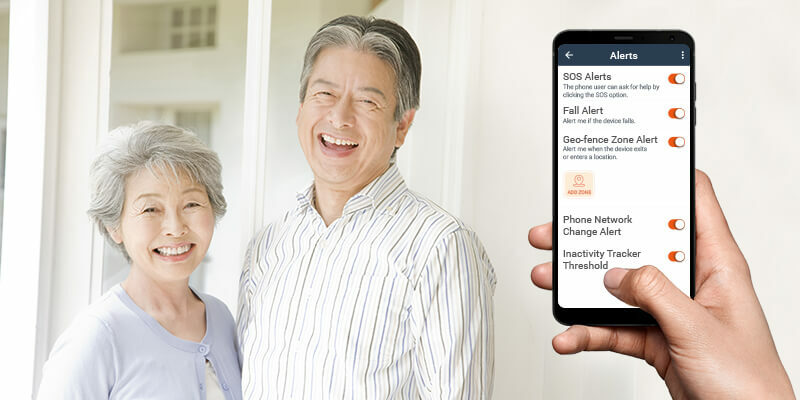 Senior alert systems come in all formats—from smartphone applications to wearable gadgets and self-contained devices that are connected to medical alert and emergency response systems—giving seniors and their caregivers a wide range of options. No matter which type of alert system you choose, these technologies all work to help the aging stay independent while keeping them safe and away from harm. Smartphone senior alert applications are the most economical and probably the most practical of all the many different forms of a senior tracking device. These applications can be quickly programmed to fit unique requirements. Seniors don’t even need to be tech savvy to take advantage of these applications. They are designed for easy installation and configuration, enabling caregivers to monitor their aging loved ones remotely over their own web browser. An SOS button which serves as a panic alarm for requesting help as needed. The best senior apps have this option easily accessible on task lists, the selection of which will automatically send out text alerts to the right individuals to notify them of an emergency. Fall alerts may also be set up to detect bad falls and sudden jerks and hard impacts while driving so the senior tracking device can send out a message to caregivers about potential fall or car-related incidents. Geo-fence zones are also among the best features of a good senior alert program. Geofences can be configured according to the locations and places that your senior frequents, be it your town, neighborhood, a particular metropolitan area, or any other location, to help caregivers detect unusual activity, should a senior wander. With a senior tracking device active on your elderly loved one’s phone, you can automatically receive alerts for all kinds of emergency help requests, ranging from a fall incident to suspicious inactivity, app installations and uninstallations, network changes, low battery alerts, and even entries and exits from pre-determined geo locations such as streets, cities, buildings, or neighborhoods.